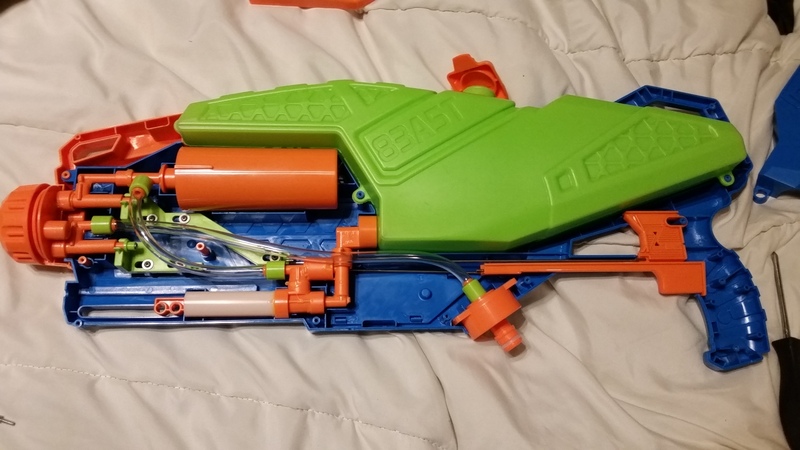 A dual function blaster that does both functions well! 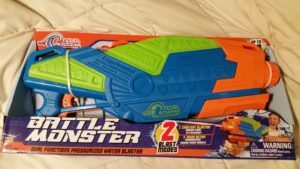 The next pressurized water blaster up for review is the Battle Monster, made by Prime Time Toys and available exclusively at Target. It’s made to operate as a standalone blaster, but can also be powered by a garden hose. More importantly, it does both well. This sample was provided to me. Big thanks to Prime Time Toys! The Battle Monster is a fairly large blaster, similar in size to last year’s Adventure Force Super Storm, also made by Prime Time Toys. In fact, it works mostly the same way, with a rubber bladder serving to store the energy for firing. There are a few changes to note, however, between the old blaster and the new. Whereas the Super Storm held 2000+ mL in its reservoir, the Battle Monster holds around 1300mL. It’s a rather large decrease in capacity, but it makes sense due to making room for the secondary firing mode. In addition, since this blaster is made without a shoulder stock in mind, extra weight would make you tire out faster. Internally, the bladder is roughly the same size as before, with ~80mL per shot. One area that has been improved is the trigger valve. On the Super Storm, the large surface area of the valve face meant you couldn’t close the valve once it opened. That’s been corrected here, and applied to both valves. Yes, the two systems are separate, and can be used at the same time if desired. Or just one at a time – if you’re hooked to a hose, do you really need to use both? The trigger handle is on the smaller end, but should still fit most hands. The secondary trigger (for the hose) lies under your middle finger. Both triggers are easy and comfortable to operate. The pump grip is comfortable to use. The shell feels solid, and the styling has a nice aggressive look to it. The nozzle has six positions, but three types of nozzle: narrow, wide, and four-stream spray. 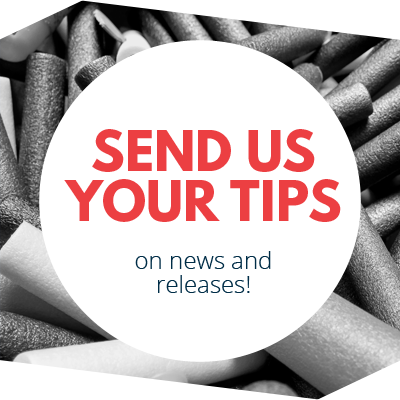 This allows for both firing methods to use the same settings, be it two streams, or a large spray. The Battle Monster hit fairly consistent ranges with both single stream settings, around 35′ at an angle. Box claims are for 38′, so my sample was not far off of those claims. The thinner stream lasted about four seconds, while the large stream and spray settings lasted for only a second. Shot times are limited when you only have a small capacity in the pressure chamber, after all. It took me 9-10 pumps before the pressure relief valve audibly opened, signaling the pressure chamber was full. It’s a bit on the small side in terms of pump volume, but it’s adequate (as well as easy to do for younger users). The pumping works best with the blaster held up at a slight angle, to account for where the internal reservoir hose sits. The last major hose-capable blaster on the market was the Super Soaker Flood Fire, which for $25 offered fairly poor performance. It also was only capable of a single stream, one which didn’t hold together very well. It came with its own hose adapter. The Battle Monster also comes with a hose adapter, which plugs into the bottom of the blaster and feeds the lowest nozzle. Performance will obviously depend on your water pressure, but in my case the pressure from the well back home was enough to match the manual portion of the blaster. There were no leaks among the various fitting connections. On a separate note, it feels really silly to be testing water blasters when there’s a nice layer of snow on the ground. I realize this is when store shelves change over, but it still makes you question your sanity! 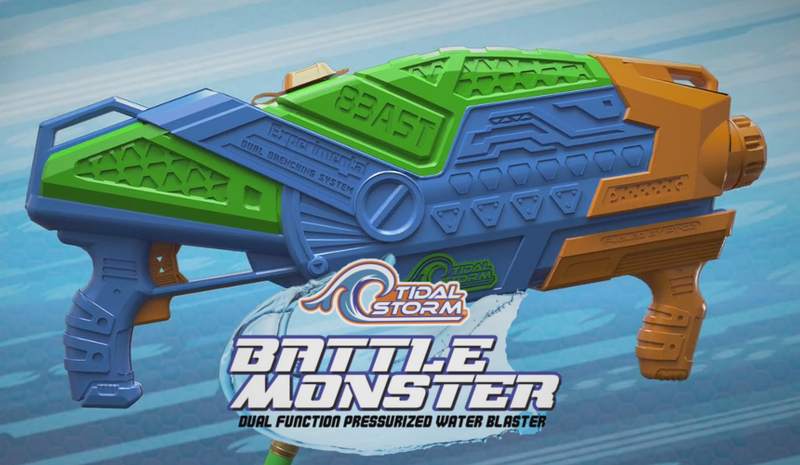 The Battle Monster is a great water blaster, especially compared to most blasters now on the market. 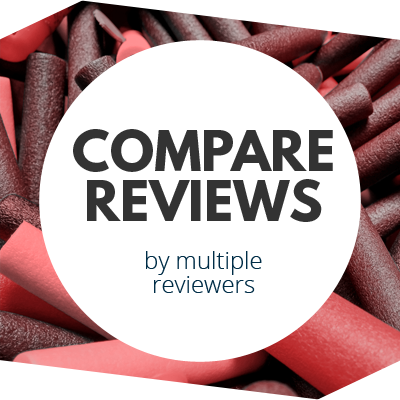 It features two firing modes, and doesn’t have to compromise the performance of either one. 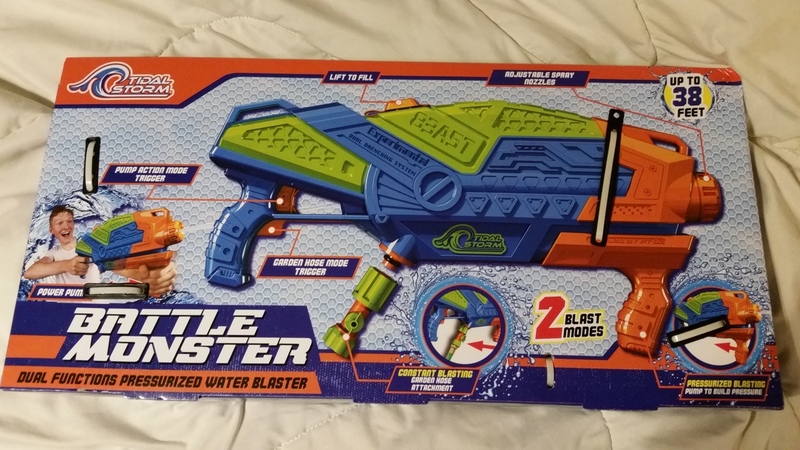 At $20, it might be one of the best deals on store shelves this spring and summer for kids and parents feeling a need for water warfare. 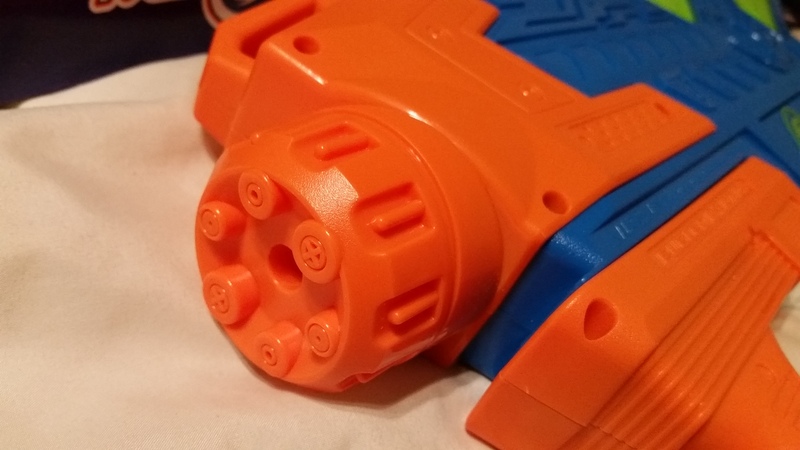 This entry was posted in Reviews, Water Blasters and tagged 2018, battle monster, blaster hub, prime time toys, review, tidal storm, water blaster on February 10, 2018 by BuffdaddyNerf.